How to become a helicopter pilot Australia? How long has Australian Helicopter Pilot School been operating? Australian Helicopter Pilot School has been in business for over 30 years and has trained more than 800 Students. Chief Flying Instructor and Chief Pilot Bill Miller has over 11, 000 hours of instructional helicopter flight experience and over 4, 000 hours of commercial flight experience. Why is it important to train with an established flight school? Completing your flight training with an established school like Australian Helicopter Pilot School means you will have access to an extensive fleet and highly-experienced flight instructors. It also gives you peace of mind that your qualifications will be recognised in the industry. What type of helicopter pilot licence do I need? A Commercial Helicopter Pilot Licence (CPL(H)) qualifies you to work as a helicopter pilot anywhere in Australia, while a Private Helicopter Pilot Licence (PPL(H)) allows you to enjoy flying helicopters for leisure, so you can take on passengers for no financial reward. How long does it take to learn to fly a helicopter? To attain a helicopter pilot licence, part-time students generally undertake approximately one to two hours of instruction per week. Full-time students can undertake up to three hours per day of flight instruction, after an initial qualifying period. The flight time required to obtain your licence is determined by your instructor and dependent on the time it takes you to reach the standards required by the Civil Aviation Safety Authority (CASA). How can I find out if becoming a helicopter pilot is for me? A Trial Introductory Flight is the best way to discover whether you are suited to a career as a professional helicopter pilot. You will be guided by one of our experienced flight instructors and experience the exhilaration of handling the controls mid-air as a taste of what it’s like to train for a helicopter pilot licence. Do you have accommodation available at your training schools? Our Central West school offers in-house accommodation, while our Queensland and Bankstown schools have motel-style accommodation nearby. Bankstown also has a caravan park close to the flight school. Do I have to pay the full price of my flight training upfront? No, various payment options are available. Yes, full-time students can undertake up to three hours per day of flight instruction after an initial qualifying period. Can I fly at night once I have my helicopter pilot licence? A night rating is available which requires a minimum of 10 hours flight time plus a practical flight test. This training must be in addition to the hours required for your helicopter pilot licence. I live a fair distance from your schools and can’t travel. Can I train on my property or at an airfield close by? Yes, Australian Helicopter Pilot School are one of the few flight schools that provide remote training facilities. To date, we have trained over 70 pilots at stations and private properties throughout Australia. To qualify for remote training, you need to be located further than 100 nautical miles from a registered training school’s fixed base operation. If I decide I don’t like flying, can I receive a refund? Yes, we will refund payments you have made within seven days, less any flying you have completed. Once I am a qualified helicopter pilot, what are my employment prospects? Due to the impressive reputation of Australian Helicopter Pilot School, many of our Commercial Helicopter Pilot Licence (CPL(H)) students go on to achieve incredible career goals, such as working with Childflight, Westpac Rescue, Bristows, CHC (Lloyds), NSW Police, rescue charters, film services, oil rig transfers and aerial surveying locally and internationally. There are a wide range of opportunities to turn your passion for flying into a successful career. You must be at least 16 years to obtain a Student Licence, at least 17 years to obtain a Private Helicopter Pilot Licence (PPL(H)) and at least 18 years to obtain a Commercial Helicopter Pilot Licence (CPL(H)). 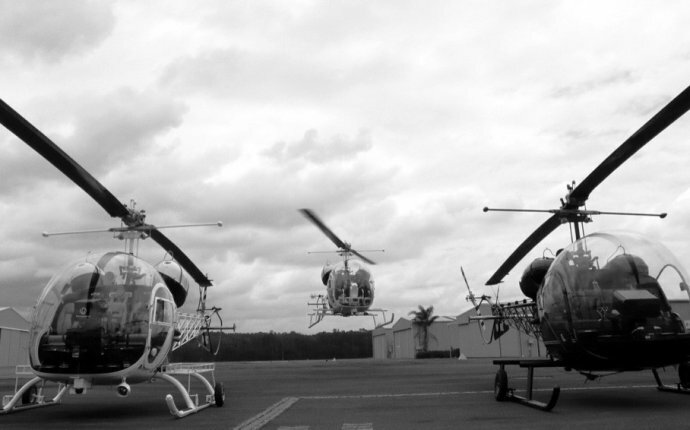 What are the medical requirements for becoming a helicopter pilot? A medical certificate from a Civil Aviation Safety Authority (CASA) approved doctor is required before you can begin your pilot training. You will require a Class 2 Medical Certificate for a Private Helicopter Pilot Licence (PPL(H)) and a Class 1 Medical Certificate for a Commercial Helicopter Pilot Licence (CPL(H)). If you are reasonably healthy you should have no problems and we are happy to provide recommendations of CASA-approved doctors for your convenience. If the engine in a helicopter stops, will it just drop out of the sky? Helicopters have the ability to glide with the engine off. Gliding exercises are conducted in your flight training. Unlike fixed wing planes, helicopters can land safely with engine off in a confined area with no forward speed. - How to become Army helicopter pilot? - How to become a helicopter pilot Canada?